So, guess what: just accept it. Accept that it is always going to be a part of you and be at ease with it. Once you really do that, you’ll find life to be a lot easier. Be yourself. No matter what. 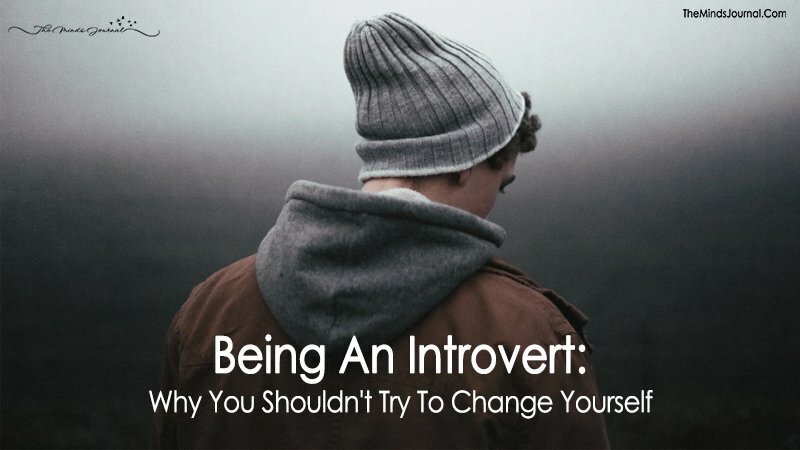 The world seems to love extroverts, but surprisingly, 75% of them are mostly introverts. 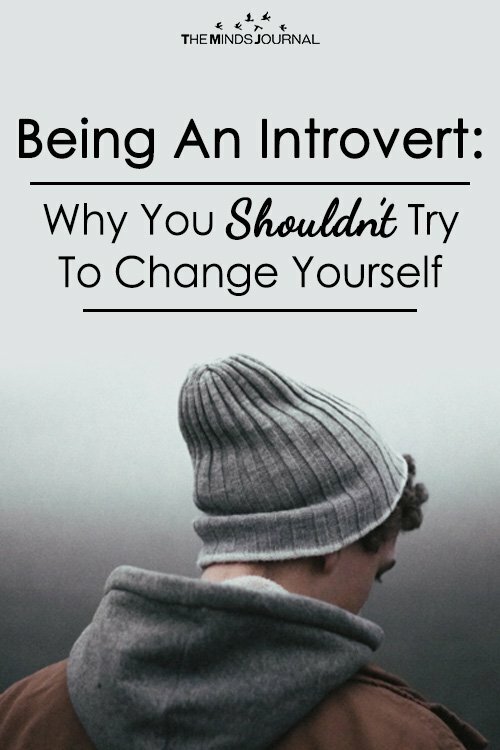 Everybody has a little of both traits within them, nobody is a hundred percent introvert or extrovert. They just lean to one extreme more. It is honestly not worth trying to tip the scale the other way. You will end up being awkward, stressed and you will be a fake version of somebody who you merely idolize. What makes you as an introvert very special is your ability to listen when spoken to. This helps you give advice or offer encouraging thoughts to the one seeking out your company. You are a good friend because of your introverted-ness. It makes you pay attention to details and subconsciously, you genuinely put your friends first. When you may consciously try to be the extrovert, you are only thinking of yourself: how to be funnier, how to be bubblier, what to say next, how not to be the old awkward self… only to be the awkward joker of the group anyway. You could save so much trouble by just smiling it all away and remain the designated introvert friend in the group − and if anybody has a problem with that, it is theirs to deal with if you ask me. Everything we hear is an opinion, not a fact. Everything we see is a perspective, not the truth.In search of truth.